WOW, we got one more day so its time to make this day awesome by learning something new 🙂 . Hello guys, hope every body is doing good. 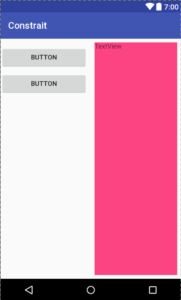 In last week we learn about what is Constraint Layout in part1. Now Its time to start learning about remaining things about this awesome layout. Motivation is same as discus with you guys in part1. 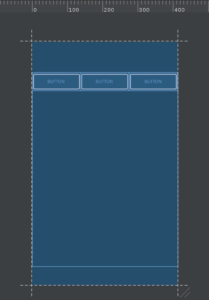 Now this time I am not going to explain what features are given by Constraint Layout instead I will share with you issues which may be you will face when implementing. In the end I promise with you guys, you will know all concepts (which I know) without knowing you know 🙂 . 2. Align view in centre (Horizontally, Vertically, In Parent View). 3. How move View from Centre to Left or Right some DP. 4. Management of Ratio of my Image View. 5. Two or more columns required. 6. Parent Left Views, some have 16dp margin but some have 8dp. 7. 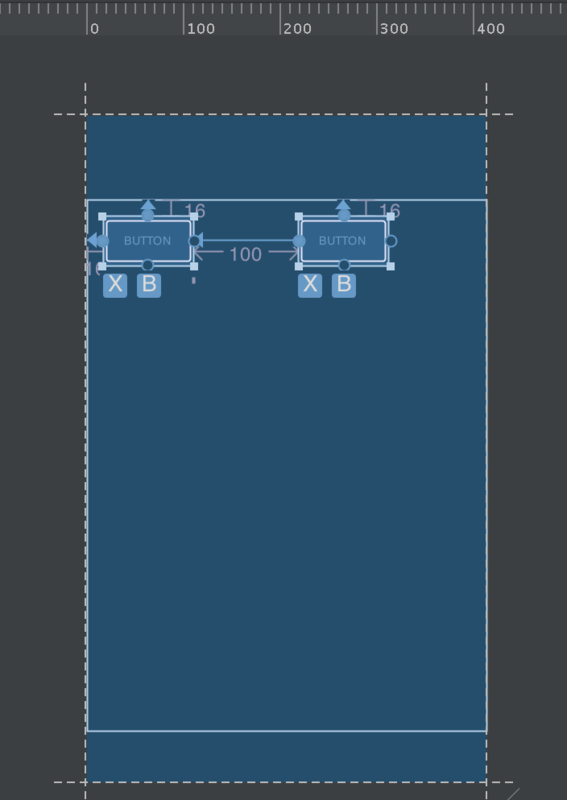 How achieve Linear Layout in Constraint Layout. 8. View Gone, Break my UI. Its time to ATTACK :). 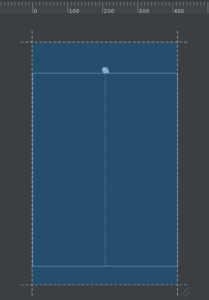 We need to download 2.3 Android studio. In previous versions Visual Editor is not good and that show some wrong info on Design Tab. So that is really important download 2.3 beta which is available when I am writing this post. 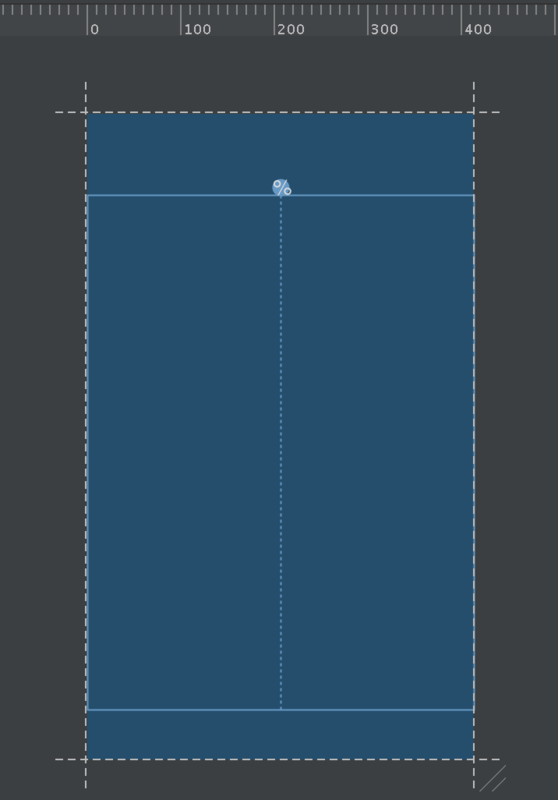 When you try to give match_parent width/height to any view in Constraint layout. That will not work as show below (Automatically change by Editor). No more match_parent. 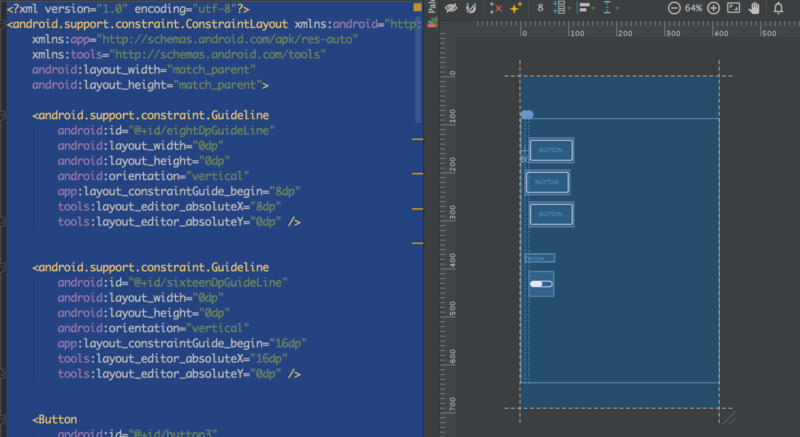 Remember match_parent is not deprecated instead that is removed from Constraint Layout nested views. 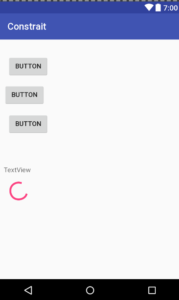 Use parent property for Constraint Layout nested views. Just like we do in RelativeLayout width=0dp and left and right to parent align. Same we will do here as shown below. We need a Button in the centre of a parent. We can achieve as shown below. Now I have a feeling you can easily achieve Horizontal and Vertical centre positions on your own :). Mostly designer’s give us weird requirements. For example designer want a text which is not 100% centre of parent instead that start from nearly to centre. 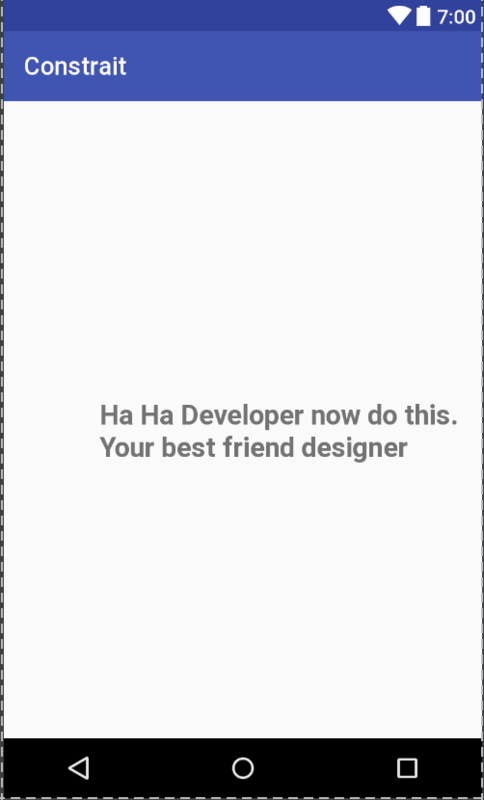 First, Sorry designers 😛 . 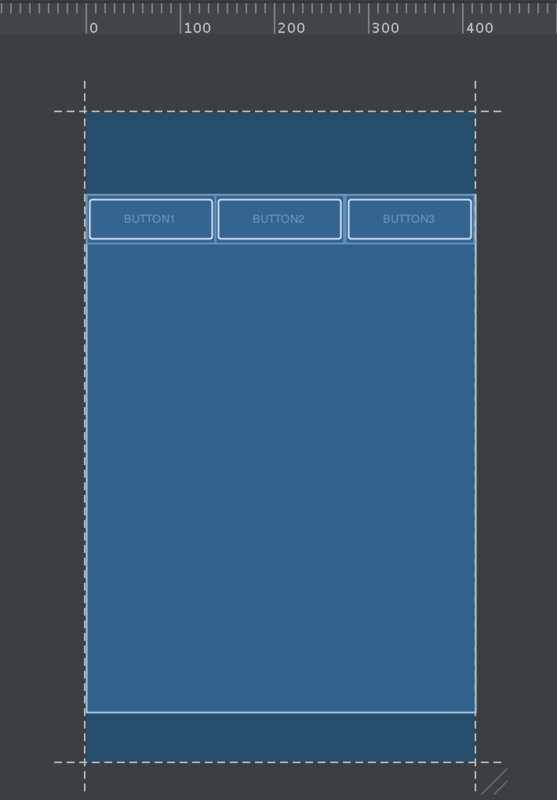 Really easy to achieve this in Constraint Layout as shown below. 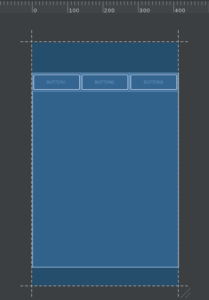 Same you can play with app:layout_constraintVertical_bias=”.1″. Remember value limit 0,0.1 .. 1. Lots of time we have ImageView with some specific ratio like 4:3. So we can achieve that as shown below. Haha I know really simple. But now there is one more issue. 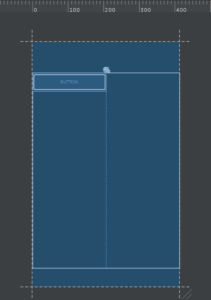 Like I have a textview which has match_constrained in both width and height dimensions, but I want size of that TextView should be square according to device size. One more important thing, we need to mention square in perspective of Height or Width as shown below. Now you can play more by changing values randomly. That is really simple. 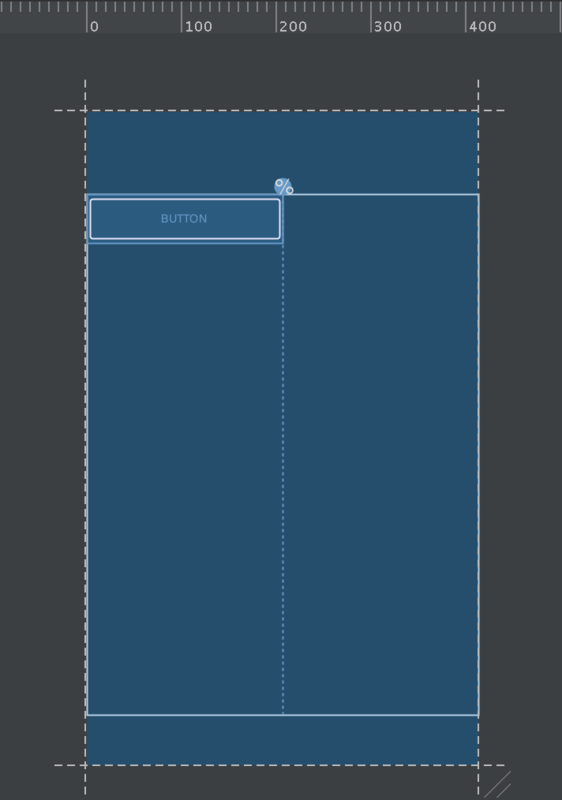 Only we need to add one new concept of ConstraintLayout is called Guidelines. That is awesome. You will see in a minute. Basically these are virtual lines which you can use as a UI separator. There is only three important properties if you know you can say you are master of Guidelines. In the end this Guideline never render on UI. So first I am going to implement Guideline which will divide my screen into half. So I can get two column feeling. Its time to add first button. Its time to add second button. 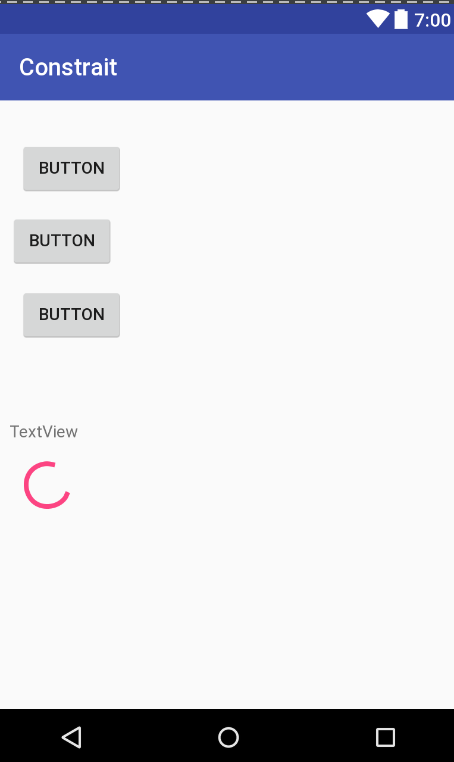 Its time to add textview in second column. 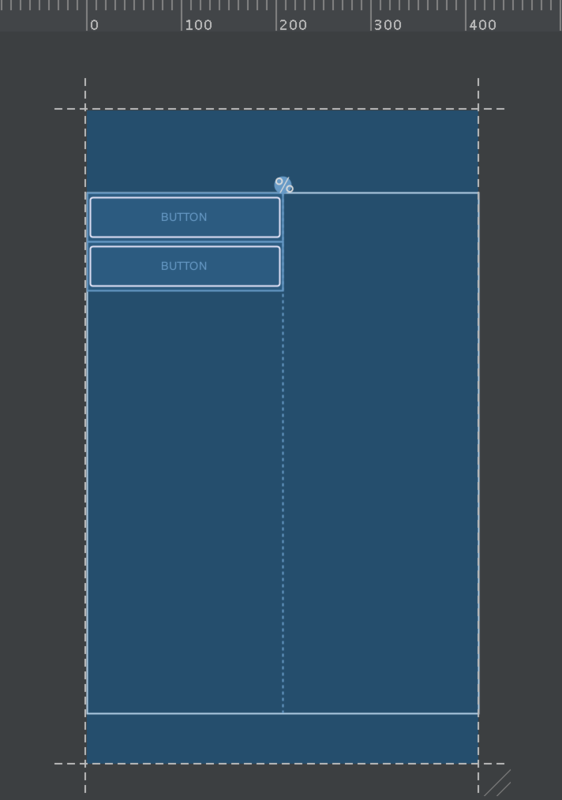 Very simple to achieve this type of UI in ConstraintLayout. You can make more columns or rows by using same concept. Whole code is written below. I have some views which have constant 16dp left margin and some have 8dp as shown below. May be you can ask this question. That is simple why that is mention as issue in post? Basically I am sharing with you a good practice how to manage UI. 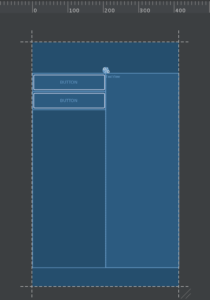 By implementing my way you can make scale able your UI. I want you should know, how you can use something in different perspectives. So its time to start. OK if you saw from top to bottom. First, second and last view having 16dp margin and all other have 8dp. I can do by giving direct margin to all views. But many time’s designer ask me, hey on small devices it look ugly can you do all views which have 8dp to 12dp left margin and those which have 16dp give them 20dp left margin. If you giving direct margin. Its a nightmare. So I am going to make two guide lines. One having 8dp margin and second has 16dp margin. Both have vertical orientation. Now its really simple add all other views according to requirement but with “0dp” margin. Now I am giving you whole code below. Now designer want’s to change 16dp to 20dp. I only need to change Guideline value app:layout_constraintGuide_begin=”16dp” to app:layout_constraintGuide_begin=”20dp”. One important thing please don’t make your team members fooooool. Always refactor your name if required. Like currently I have sixteenDpGuideLine. As a good developer its my duty to refactor Id name to twentyDpGuideLine. Now you can see magic in below image. We have three buttons which are equally distributed in horizontal fashion. So in Linear layout I can achieve this by using weight as code written below. 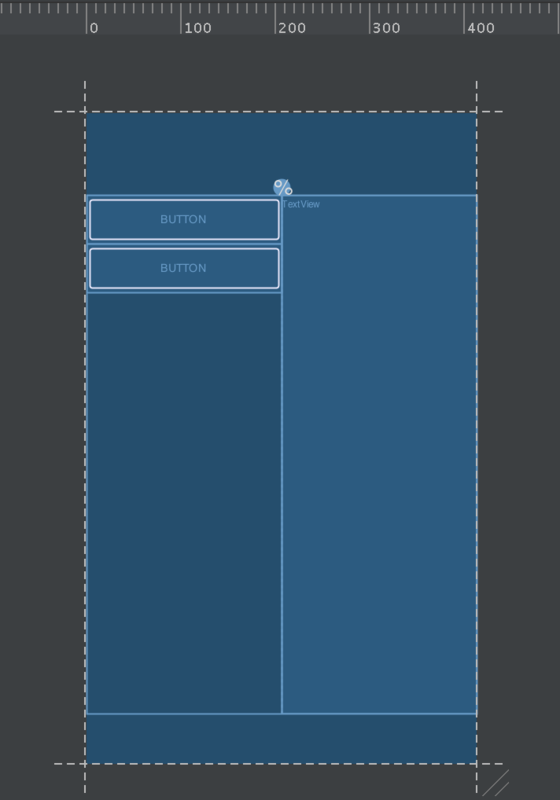 How we can achieve this in Constraint Layout. Very easy, I am writing code below. Oh no, guys you learned one new concept is called chaining. When we have Bi Directional relationship between views. Editor automatically take that as chaining. Now its time to discuss what benefits we can get by using chaining but before that I want to show how chaining looks on UI editor. Here I am going to copy some definitions from Android Documentation. Because I feel that is good time to explain. Chains provide group-like behavior in a single axis (horizontally or vertically). The other axis can be constrained independently. A set of widgets are considered a chain if they are linked together via a bi-directional connection (see below, showing a minimal chain, with two widgets). The head is the left-most widget for horizontal chains, and the top-most widget for vertical chains. Now I have a feeling you guys are comfortable with the concept of Chaining. Its time to show you one more thing about chaining, that is called chaining style. Basically there is very good documentation available which I will show you later because that mostly create confusion. First I want to give you some practical experience. (layout_constraintVertical_chainStyle) and we have five values for this property. Spread Chain, Spread Inside Chain, Packed Chain, Packed Chain with Bias and Weighted Chain. Its time to look one by one of all these values. By adding spread value in my Head view. I got below result. By adding spread_inside in my Head view. I got below result. In easy words when I gave this property to my head view my head and last view automatically attached with parent left and right edges. If you want this type of behaviour use “spread_insdie” value. By adding packed value in my Head view. I got below result. So when we want all views should be together. we can use “packed” value. Only one thing, all views are together but centre horizontal by default. Now my issue is I don’t want centre horizontal. For that, check next property. By adding packed and horizontal bias value in my Head view I got below result. By using bias property I can change position as I want. For example I have three buttons. 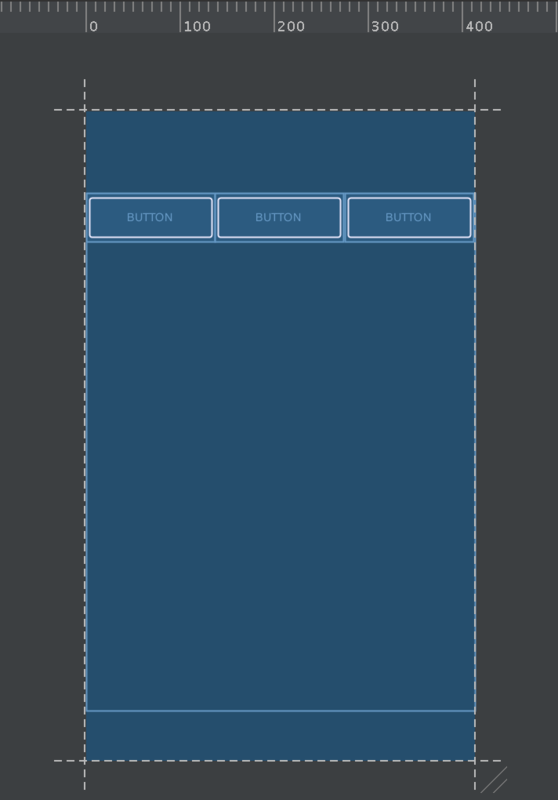 First two buttons should take half screen and third will take a remaining half. For that I will use weighted chain concept as shown below. One important point, in this chaining style we always choose default style “spread” and then by using property “layout_constraintHorizontal_weight” we manage distribution of space between views. Now we know real concept of Chaining and what are different chaining styles. Next I am doing copy some definitions of these chaining styles . The default behavior of a chain is to spread the elements equally in the available space. If one or more elements are using MATCH_CONSTRAINT, they will use the available empty space (equally divided among themselves). 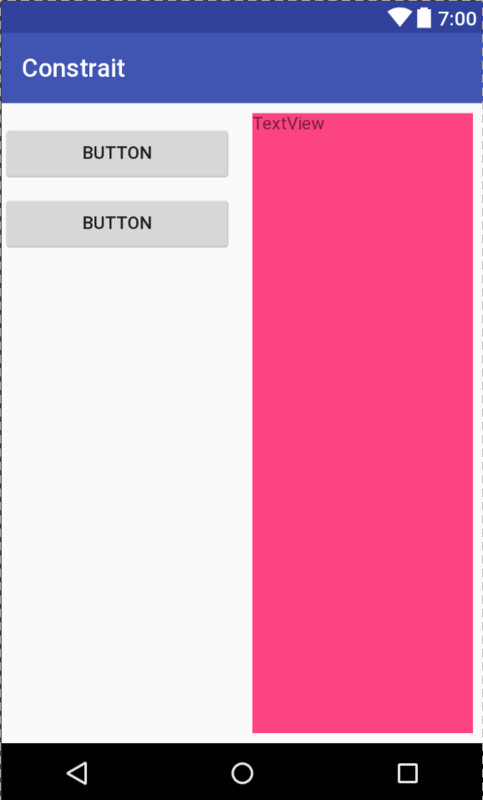 The attribute layout_constraintHorizontal_weight and layout_constraintVertical_weight will control how the space will be distributed among the elements usingMATCH_CONSTRAINT. For exemple, on a chain containing two elements using MATCH_CONSTRAINT, with the first element using a weight of 2 and the second a weight of 1, the space occupied by the first element will be twice that of the second element. Now what happened when some view Gone on runtime. I did some experiment and I got very odd results. For explaining this issue and how we can resolve I am taking very easy but effective example. For example I have two buttons as shown below. According to functionality when second button clicked, first button will be gone. 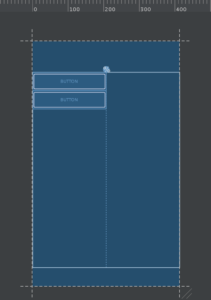 So as I implemented I have expectation my second button should go on the left edge of parent. So its time to see what will happen. Haha my expectations are ruined. Its time to resolve. 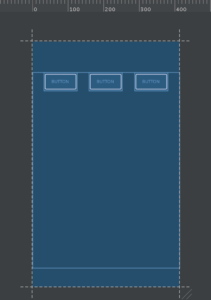 Basically there is one new property is given in Constraint Layout called “app:layout_goneMargin”. By using this property I can resolve these type of issues. So now I am going to add one more line of code and will see is my issue resolve or not. Boom. Every thing is working according to expectations. Hurray. OK guys. Its time to say BYE. We will meet again in next post. Awesome ! Thanks for your posts. These help me a lot. 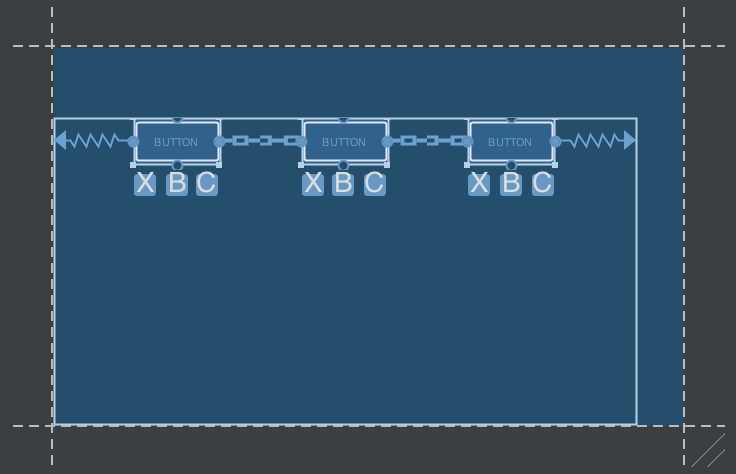 However, I do have some question about 0dp and weight in chain, I tried several times to use weight like Linear Layout, all failed. And I copy your code (7. 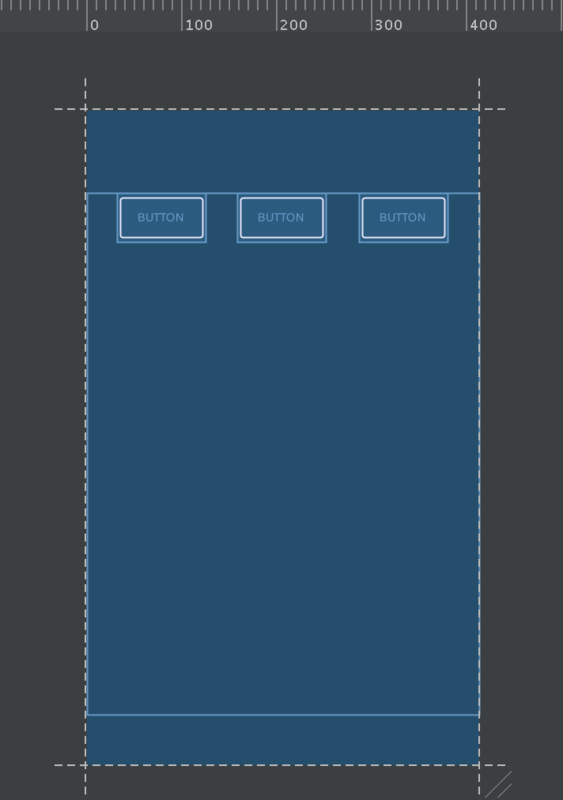 How achieve Linear Layout in Constraint Layout), it failed again (only show one button). 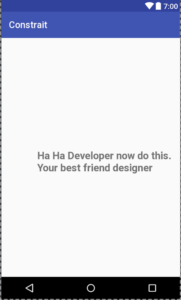 I finnd someone also has problem with that, https://code.google.com/p/android/issues/detail?id=213545. Is there anything could solve this? or just avoid using it and use guideline instead. oh, I got it. I used 1.08, after I update to 1.0.1, it works fine. Awesome tutorial , whole new revolutionary layout building concept in just two tutorials, great. Keep it up.